Jeff Koons at the Ashmolean 7th Feb - 9th June 2019 We are lucky Oxford has been chosen to host this superb exhibition. We have a signed shiny new book to accompany the show available to purchase. 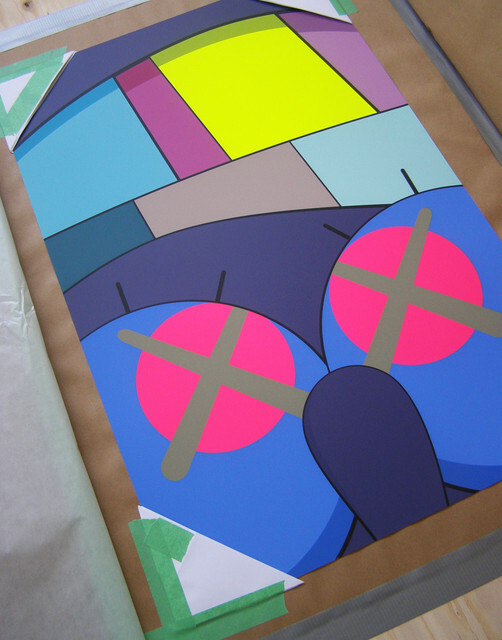 Kaws added, from his Ups and Downs series created in 2013. The screen printing for these is jaw dropping and colours so dope. Art Cave has for sale my favourite from the set of ten. 'I can resist everything except temptation', said Oscar Wilde, and it is extremely tempting to open up the anti static bag so I can appreciate IK8 properly. But I don't think I'm going to be doing that any time soon. 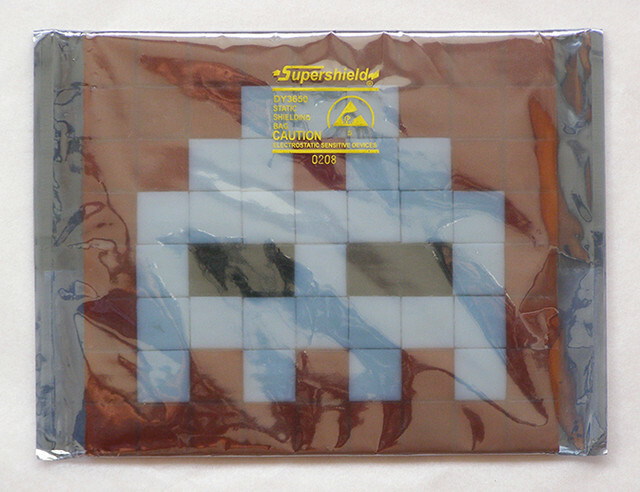 This is from the edition of 150 numbered by Invader and issued in 2008 following a visit to Kathmandu in Nepal. Depicting a black and white invader with a red bindi on a deep orange background. I'm happy to be able to offer from our store a fabulous and heavily hand finished print from the Brooklyn artist BAST. 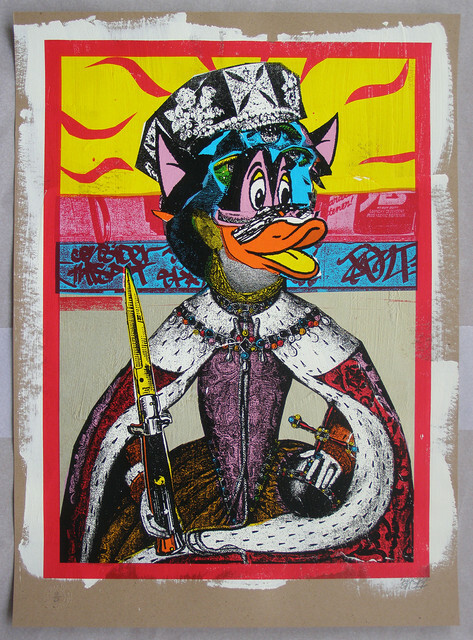 These were released by POW printing house in 2012. The thick paints beneath the screen printed colours makes this a real stunner in person. While it's been scorching hot outside, at Art Cave we've been keeping out of the sun and working like busy bees in the studio to create an amazing new screen printed edition for resident artist Alex Zanda. The title of the work is Portrait of Manet. What you can see in this photo are experimental colourways displayed as a rainbow. 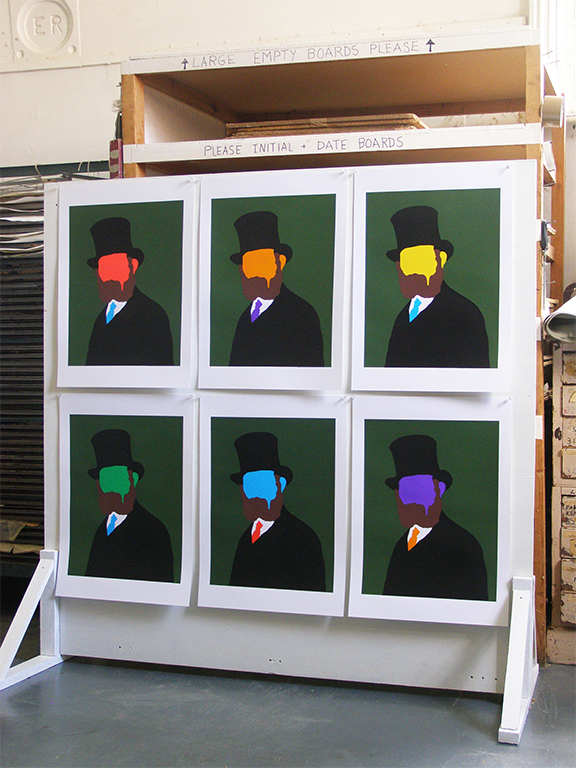 The actual colour for the final small edition is the print on the top left of the arrangement.